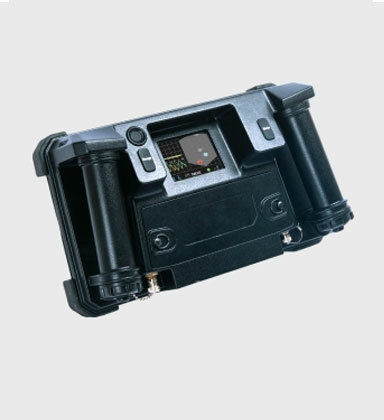 The Xaver™ 400 allows quick location of people hidden by walls and barriers, enabling tactical teams to step into the known and obtain mission-critical information. The Xaver™ 400 is a compact, lightweight and durable personal device, optimized for the speed of tactical entries. The Xaver™ 400 gives special ops and rescue forces critical information in real-time about the number of people and their location behind a wall. Simple to operate, the Xaver™ 400 provides vital information when and where it is needed. Tactical teams conducting urban operations are constantly faced with stepping into the unknown – is anyone in the room, hidden behind the wall or hiding in the hallway? Mission plans must account for any contingency, adding complexity and increasing the chance of error often in life and death situations. 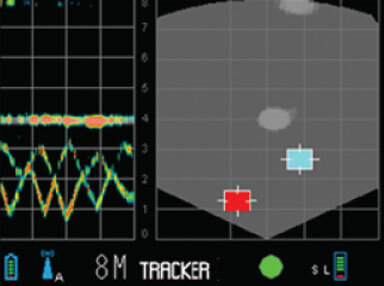 Camero’s Xaver™ Sense Through The Wall (STTW) systems provide unprecedented situational awareness. Compact, light and easy to operate, the Xaver™ 400 allows maximum mobility and maneuverability in virtually any type of urban operation. The system is ready to go at the push of a button, requiring no warm-up time. The Xaver™ 400 utilizes a state-of-the-art system architecture, encompassing multiple cutting edge technologies. A unique, multi channel, and micro-power Ultra-Wideband (UWB) sensor that operates at very high bandwidth enables reliable detection and industry leading object resolution. Algebraic image reconstruction algorithms are used to cope with cluttered environments resulting in a high quality and intuitive image. Simple operation and compact packaging are key features of the design.